OMAHA, NE. January 29 – Omaha will join the Eagles and the Patriots as they head to Super Bowl LII in Minneapolis. As part of its 2018 “52 Weekends” advertising campaign promoting Omaha as a year-round destination, Visit Omaha wrapped the Minneapolis Metro Blue Line with a train-sized invitation to plan a weekend getaway to Omaha. The Blue Line runs from Mall of America to U.S. Bank Stadium where the Super Bowl is being played February 4, 2018. The train wrap includes larger than life photography featuring four distinctly Omaha experiences: Lied Jungle, the largest indoor rainforest in North America; Desert Dome, the world’s largest indoor desert; NCAA Men’s College World Series; and an authentic Omaha Reuben sandwich. (The sandwich was invented in Omaha after all, and you should always travel for the original). Metro Transit in Minneapolis estimates the train will be seen more than 6.8 million times by people traveling on the light rail system from January 10th through April 29th, and that number doesn’t include all of the out-of-town visitors expected to be in Minneapolis during the Super Bowl. 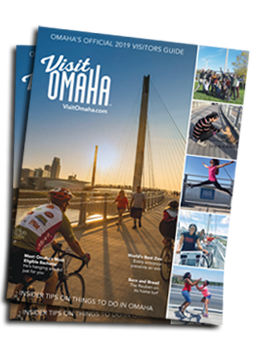 Visit Omaha, also known as the Omaha Convention & Visitors Bureau, is the official tourism authority for the City of Omaha and Douglas County.